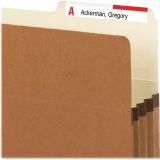 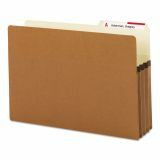 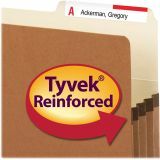 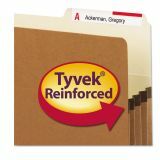 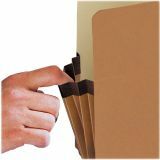 Smead 3 1/2" Expansion Pocket, 2/5 Tab, Legal, Redrope/Manila, 25/Box - Great for managing bulky records, these sturdy file pockets feature an accordion-style design that allows expansion up to 3-1/2. 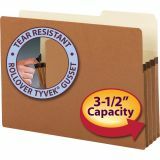 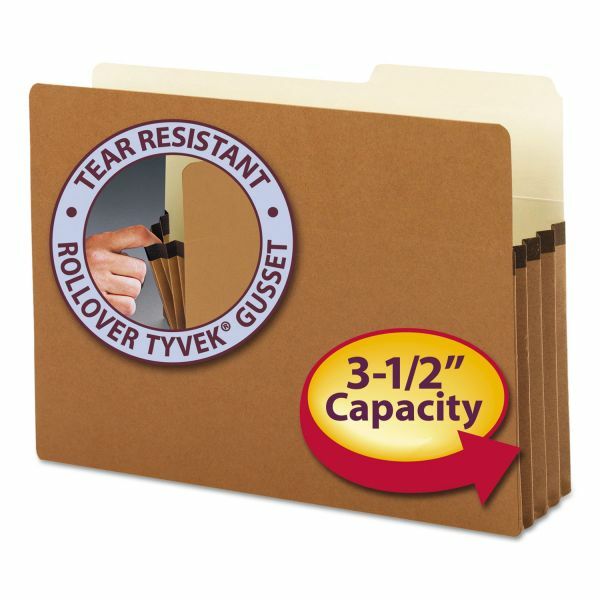 Durable, rollover Tyvek reinforcement at the top of the 6-1/2" sides makes the sides of these pockets virtually tear-proof. 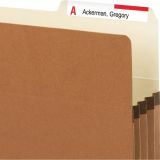 Tabs are 2/5 cut in the right position. 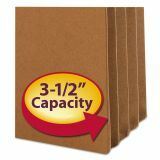 Redrope material contains recycled material.